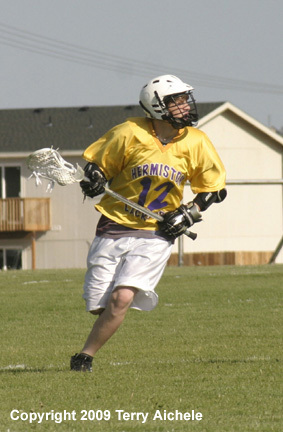 Hermiston's Kyler Records scored four goals for the Bulldogs in their match with Harney on Friday, May 15, 2009. 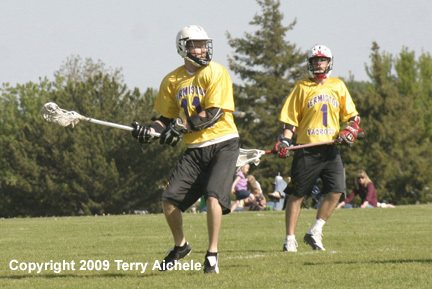 Ty Hoffert also scored four goals for the Dawgs. 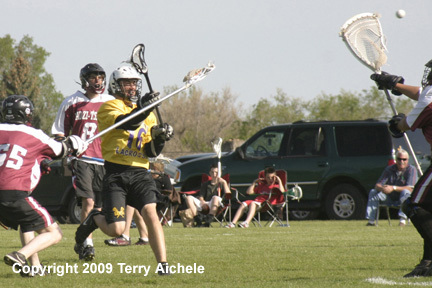 HERMISTON - The Hermiston Bulldogs club lacrosse team dominated Harney in the first of game of the weekend. 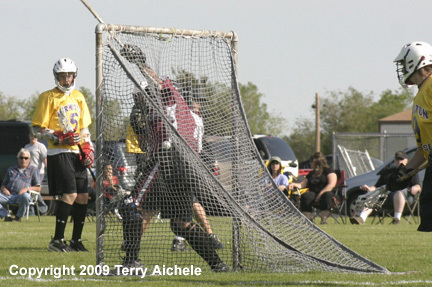 The Bulldogs dominated the Friday, May 15, 2009 match with two players scoring four goals and one scoring three. 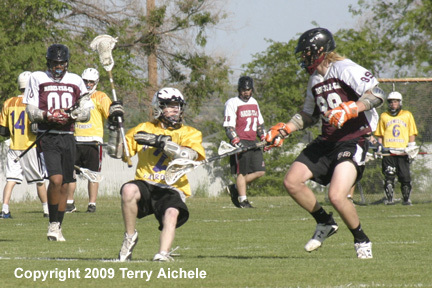 The scoring leaders for the Bulldogs were Kyler Records and Ty Hoffert each scored four goals. 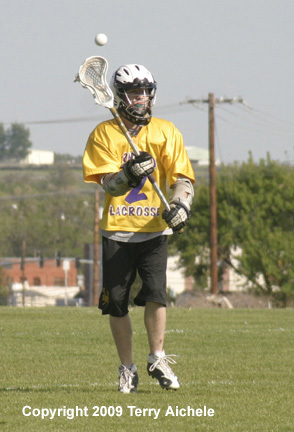 Peyton Hobbs scored three goals. 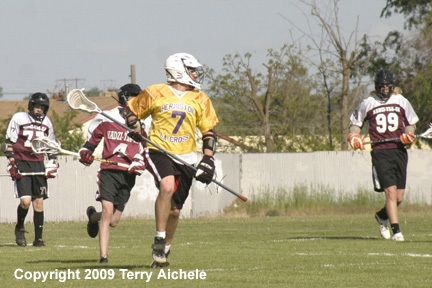 Kolton Boedigheimer scored two and Tanner Fraser scored one goal. 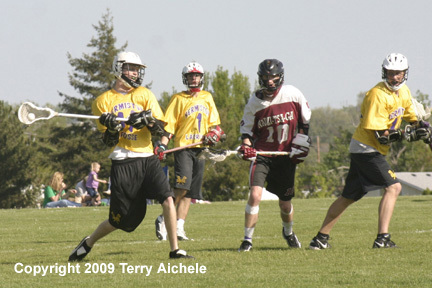 Hermiston scored six goals in the first period. Ty Hoffert scored three of his goals for a first period hat trick. Also scoring in the first were Kyler Records and Peyton Hobbs. Three Bulldogs scored in the second period - Tanner Fraser, Peyton Hobbs and Kyler Records. Hermiston led at halftime by a score of 9-0. The Dawgs scored three goals in the third period. The goals were scored by Ty Hoffert, Kyler Records and Peyton Hobbs. Hermistonj led at the end of three 12-0. Kolton Boedigheimer scored the goal in the fourth for Hermiston. Hermiston won by the score of 13-0. The Bulldogs controlled the entire field of play. The forwards controlled the Harney zone and used their set pieces to dominate the scoring.